In addition to good food, nutritional supplement and herbs can be critically important in supporting biochemical/metabolic functioning, immune and hormone regulation, and detoxification. They can also be helpful with ongoing health maintenance. 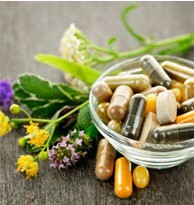 When appropriate your doctor may recommend nutritional supplements or herbs to support your health and healing. Our physician recommendations are based on review of recent scientific literature as well as years of clinical experience. Not all supplements are created equal. Some products are better absorbed and utilized by the body than others. The particular form of a vitamin or the way a mineral or amino acid is formulated is critical for the way it functions in the body and what organs and tissue it supports. The commercialization of vitamins and supplements often leaves the public confused and overwhelmed. The physicians at Family to Family continually study this important aspect of medicine by reviewing the most up to date literature, research, and consulting leading experts in the field. As a service to you, we have selected more than 500 products formulated for effectiveness and purity from supplement companies with highest quality control standards. This Family to Family Pharmacopeia is conveniently available to you online through FullScript. You order your supplements directly and receive them in your mailbox. Your physician may also make specific recommendations through this web portal which will be emailed to you. In order to offset shipping costs, we offer a discount to every patient. If you order > $50 from this site, standard shipping (4-7d) is free, while priority shipping (1-3d) is $4.95. This is the best option. If you order < $50 from this site, standard shipping (4-7d) is $8.75, while priority shipping is $11.95. Next day air is $35. For acute care needs, we will continue to carry a few select professional quality supplements and herbs in our office. We encourage you to review your supplements with your physician at each visit and once a year. 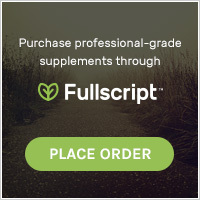 Purchase products through our Fullscript virtual dispensary.